September 23rd, 2015 (9:17 AM). Edited October 25th, 2015 by gabrielmr. 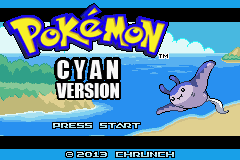 The idea: Make a Pokemon rom hack based only on pokemon fusions. Features: It will have all pokemons from 1-4 Generations BUT fused with other pokemons! 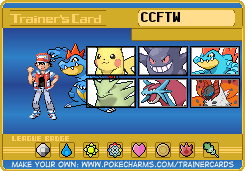 Plot and Story: Since my first idea was to make a pokemon hack only with fusions I didn't change the plot or story of the game, so until now the story is exactly the same from Pokemon Platinum! Alpha 0.2: (National Dex) Fusions done from Turtwig to Roserade! 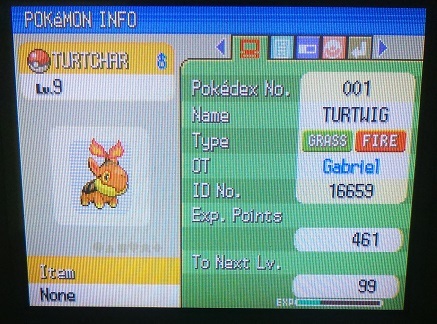 Alpha 1.0: (National Dex) Fusions done from Turtwig to Mothim! Now the base stats are also fused! Ps2: Sorry for any english mistakes. September 23rd, 2015 (3:40 PM). can i test that ? September 25th, 2015 (4:29 PM). Anyway, right now the hack has the starters complete evolution tree and starly also is done. September 25th, 2015 (6:19 PM). its ok to post a link but dont do roms ok ? September 25th, 2015 (8:09 PM). Ok, so i'll make a patch and post it here! September 25th, 2015 (10:20 PM). Ok, so i'll make a patch and post ir here! September 26th, 2015 (8:23 PM). And there it is, the link to download the patch! September 26th, 2015 (10:04 PM). me too idk how to change the post thread so ask spherical or christos. btw how do u change the sprites ? do you use photoshop ? September 27th, 2015 (7:42 AM). Btw here are some new pictures from the Alpha 0.1! October 1st, 2015 (12:33 PM). October 3rd, 2015 (10:17 AM). October 3rd, 2015 (12:11 PM). Thank you very much, and don't forget to take a look in the new version released just now! October 3rd, 2015 (11:51 PM). Looks interesting, are you going to edit movesets or make any other changes than just the sprites/types? Also if I were you I'd download an emulator and use that to take pictures, it's much easier and it looks nicer. October 4th, 2015 (8:33 AM). Yeah the movesets are changed already, they combine the movesets from both pokemon used in the fusion, and thx for the advice. October 6th, 2015 (11:03 AM). October 6th, 2015 (11:36 AM). How about Shieldon? You did fuse Turtwig with Chimchar, Piplup with Turtwig, and Chimchar with Piplup, after all. October 6th, 2015 (2:46 PM). October 9th, 2015 (12:04 PM). October 10th, 2015 (11:37 PM). It would be perfect if the stats were different for each fused pokemon (if that hasn't been done already). October 12th, 2015 (2:45 PM). Yeah I had the same idea, now that I know that someone thinks the same way I'll do this. 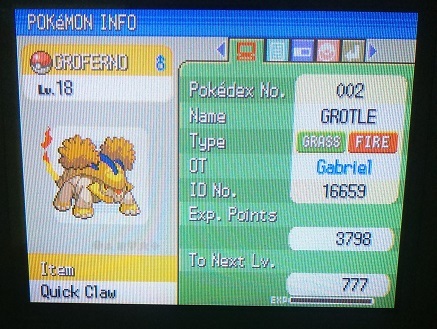 I will just add the stat from a poke with the same stat of the poke used in the fusion and divide by 2. Is that ok? October 14th, 2015 (6:11 PM). Anyone have an idea on how to change the pokemon forms ? I mean Burmy for example it evolves in various forms but if I change his sprite as I normally do with other pokes it won't change, the sprite stays the same even the colors stays the same, I've tried to change in "pl_otherpoke.narc" but it doesn't make any sense. If I don't figure it out on how to solve this I'll leave it as it is, the types and moveset will change but the sprite for these pokemons who evolves into various forms will stay the same. Oh and I brought some news, I've made some new fusions and now the stats of each fused pokemon are fused too, I just add a stat of poke 1 with poke 2 and divided by 2 and the result is the stat of the fused pokemon. 45+60=105 > 105/2=52,5 <<< As you can see when the result is a broken number like this I just round it up. So the result would be HP=53 on the fused pokemon base stats. Stay tuned for this week update (Saturday) here comes the changes!!! October 17th, 2015 (6:27 AM). 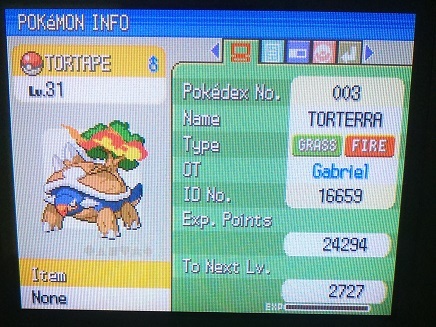 Thinking in add Gen V-VI Starters in the game, if anyone knows how to do this in Platinum I would appreciate the help. October 25th, 2015 (9:17 AM). November 21st, 2015 (7:17 AM). I will be sure to try this. Currently I'm playing pokemon glazed. July 11th, 2016 (6:24 PM). This hack has been on hiatus, but i'm considering going back to it.